November 2011 - La Cava & Jacobson, P.A. 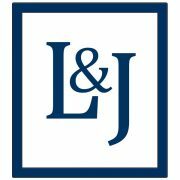 Jason Azzarone and Jonathan Ficarrotta were successful in securing a summary judgment in a negligence case filed in the United States District Court, Middle District of Florida, in which the firm represented a large hotel chain. The Plaintiff alleged causes of action for breach of express and implied warranties, negligence and strict liability stemming from being diagnosed with E Coli. Specifically, the Plaintiff alleged that she acquired E Coli after eating a cheeseburger in the hotel’s restaurant. A motion for summary judgment was filed on the basis that the Plaintiff could not establish via direct evidence that the cheeseburger was the source of the E Coli. Mr. Azzarone and Mr. Ficarrotta also argued that the Plaintiff could not, through expert testimony, establish the source of the Plaintiff’s E Coli exposure. The Court agreed and specifically held that as a matter of law, the Plaintiff could not establish causation and that her expert’s opinions were speculative. In granting summary judgment on behalf of the hotel, the Court held that while Plaintiff may have established that the cheeseburger was a potential source of E coli, based upon the evidence presented, a reasonable juror could only speculate as to whether it was the true cause, and that there was no adequate evidentiary basis to conclude that it is more likely than not that Plaintiff contracted E coli from the cheeseburger.